The superzoom DSLR-shape camera with a retractable lens, are bridge cameras for you. But let’s not go into the details just yet. You might probably be having a bit know-how of these bridge cameras, that’s why you’re probably here. But apart from the general knowledge, it’s still no less than a challenge, to grab onto one of the best bridge cameras in 2019. Some of the top brands in the market try to provide with the top rated digital cameras, for their marketing and position. But that doesn’t mean that they’ll let you know about the possible quirks of the brand-new, would they? For the amateurs and some of the prosumers, it’s more than necessary to do a comprehensive survey, before they finally settle for the best one and for that, one simply has to go through tons and tons of reviews which are easily available online. And apart from all the googling, the percentage of finding the updated price tags of the products is hardly possible. Because it’s the increasing demand of the prosumers that the bridge cameras should be of top-class and as well as cheap no one wants to go all bankrupt, now do they? A few setbacks to the bridge cameras is that they consist of a fixed lens….OUCH! That means you won’t be able to replace it with some other lens in order to take a close up shot! Secondly, the picture quality of these bridge cameras is not up to the mark as enjoyed by some of the other DSLR users, this is because the sensors which are used are comparatively smaller in size. On the other hand, offering the same kind of manual controls along with the zoom lens, the bridge cameras are comparatively cheaper to the alternative DSLRs. These professional cameras have become quite popular during 2016, and the reason would be their attractive price range. So without hustling around further, let us take you through the review of some of the best bridge cameras of 2019, and then you can decide which one works best for you…! THE BAD: No touch-sensitive screen, comparatively large in size. Who wouldn’t know about the Panasonic Lumix DMC-FZ1000. It’s a stunning all-rounder with a 4K video capture and exceptional image quality, this bridge camera is a massive appeal for both enthusiasts and newbies. The DMC-FZ1000s bridge-camera class is pushed to a new level with the 1in MOS sensor and 4k video recording. 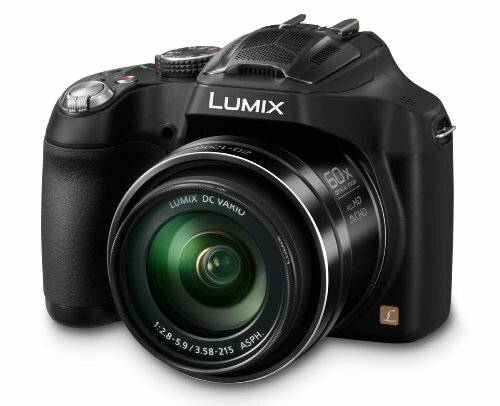 By most of the consumers, Lumix DMC-FZ1000 is one of the most enjoyable models of the bridge cameras. The image quality gets a boost thanks to the DMC-FZ1000 1-inch sensor. Not to go without mentioning its large maximum aperture, that gives the opportunity to draw in some click during the night time. THE GOOD: Multi-card slot and the Continuous shooting mode. Sony RX10 III is quite expensive-but why would it not be…? 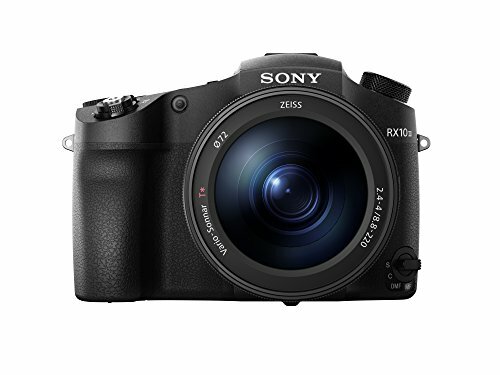 The available features and the huge focal range, makes the Sony RX10 III highly capable. With the Sony RX10 III, enjoy a DSLR like body and a powerful zoom for the close up. It comes with an excellent sensor consisting of a fixed lens and resolution up to 4K. With its 20.1-megapixel CMOS sensor, enjoy taking the high resolution images. Further the LCD display provides a convenient monitoring from various shooting angles. Some of the benefits of RX10 are that its Shutter Speed Priority, the HFR Mode, Panorama and off course its Scene Selection. The AF System gives excellent focus precision and accurate subject detection. THE GOOD: Tilting touch screen and an Impressive focal range. THE BAD: Lacking in view finder and absence of the panorama mode. 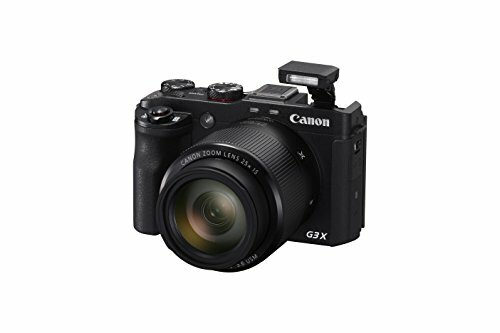 Equipped with a 3.2-inch tilting touchscreen, the Canon PowerShot G3 X consists of a large sensor and an empirical focal range. The 25x optic gives a 24-600mm focal range, which gives a lot of zoom versatility, and it’s a direct answer to the Panasonic FZ1000 form Canons side. For the detailing part and capturing those mosaics, Canon PowerShot G3 X is a smart choice as it gives a huge dot resolution of 1,620,000. G3 X is designed to be used by both the beginners and the prosumers. Its easy to handle menu is a breeze, once you get a hold of it. The image processor is a premium Digic 6. The drawback to the G3 X is that it lacks a viewfinder in it, but that is not much of a sweat. If you are in search for the 4K video recording, then I’m afraid that may not be possible with the G3 X, but on the other hand, it can shoot in full HD, though the noise can be a bit intrusive if you ask me. THE GOOD: 65x zoom range, and manual settings. THE BAD: Lacks in touch screen control. 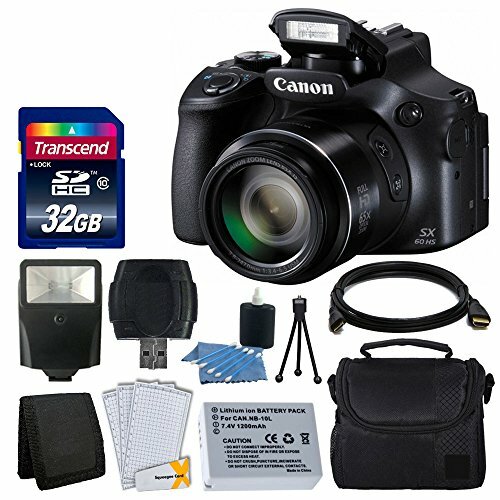 Coming along the way, the Canon PowerShot SX60 HS consists of a 65x zoom range, which has a lot to offer to the enthusiasts. After the purchase of a specific camera, many of the amateurs whine about the difficult or hard to understand control base, which is off course a bit disappointing. But such will not be a case with the SX60 HS, because it consists of full manual control, which gives the power to the user. Sharing the moments and the clicks will not be a problem with this bridge camera, as it comes along with a built-in compatible WI-FI. It does consist of a viewfinder but the eye sensor is absent, it allows to capture the raw files with great accuracy and high quality. The result of the images is quite sharp with amazing color saturation and bright schemes. The image result in the dark may not be as good cause of the possible noise. THE BAD: The screen is not touch sensitive plus lacking an eye sensor for the viewfinder. It’s the turn of the all-time favorite NIKON. With other brands competing in making the best bridge cameras, how can one expect that Nikon would stay still. 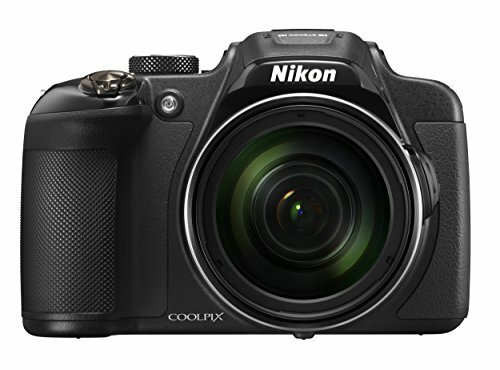 Slaying the world of bridge cameras, Nikon made a breakthrough with the Nikon Coolpix P610. Being high on the image quality of ISO 800, Nikon competes with the Canon, in regards to the price. The WI-FI with an NFC pairing is an amazing bonus for the love of sharing photos-no more waiting for that annoying transfer time to the USB for the Coolpix P610 users. The image quality of the P610 is especially to droll upon. The reasonable details and the light balance effect is a major. Its ability to take the shots in dark is another addition to the pack. THE BAD: No WI-FI and low-resolution EVF. Its versatile features consist of optical zoom and a wide angle focal length. 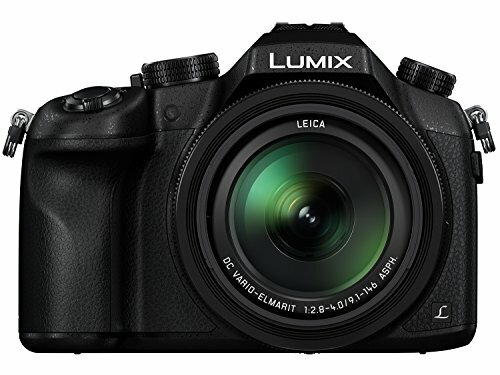 The Panasonic Lumix DMC-FZ72 is packed with a number of features that will appeal to many users, like the 60x optical zoom lens and 9 fps continuous shooting. One can’t rate this camera high enough, as it features the largest zoom of any bridge camera along with a new Wind Shield Zoom Microphone that greatly reduces the wind noise. Giving an extra credit it features the usual range of manual exposure options, with DSLR-style mode dial. It’s quite a catch for the beginners, to begin with, supporting a great zoom range; this bridge camera is among the top ones to offer a comparatively cheap price tag. The WI-FI is not there, so that can be a bit of problem for the time savers. The viewfinder again lacks in the eye sensor in this piece too but the raw image quality gives it up a cover. THE GOOD: High build quality and tilting screen. Shoot an unforgettable action with a 50x optical zoom an image processor for peerless performance. 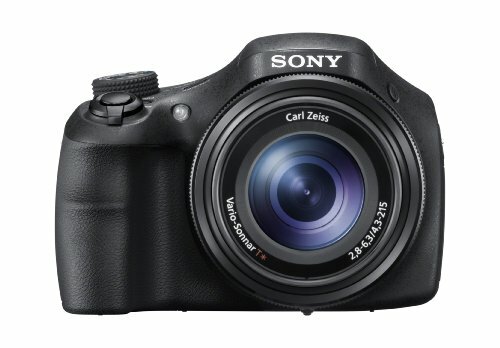 The Sony Cyber-shot HX400V is a bridge camera – a DSLR-styled model with a non-removable super-zoom lens. It also consists of a 3-inch tilt screen and built-in electronic viewfinder to give an amazing display. The Sony’s accessory port, faster continuous shooting, an eye sensor to automatically switch from the screen to the EVF when you raise the camera to your eye are a treat to the enthusiast. Its maximum continuous shooting and ergonomic design give an additional pleasure to work with this bridge camera. Further, the presence of WI-FI gives the freedom of sharing pictures anywhere you desire. Being quite affordable, Sony Cyber-shot HX300 can give you some excellent image stabilization. The Sony HX300 has in fact proven itself a worthy ultra-zoom camera. Further, it comes with a faster maximum aperture than most of its competition, and not to forget an improved AF too. The major plus to the Sony Cyber-shot DSC-HX300 is that it has strong image stabilization to back up its 50x zoom lens. The OIS does work really well, but that doesn’t mean you would want to miss out on a tripod. The Photo quality from DSC-HX300 is very good to excellent with a 20-megapixel sensor. In addition to its twilight mode, it produces some of the best high-ISO photos. Though it can’t capture raw images but it’s good for people looking for a long lens. Depending on the computer or other USB devices you connect to the camera, the connection mode is automatically selected-now that is something to look forward to. It also establishes a Mass Storage connection between the camera and a computer or other USB device. It is extremely versatile and the 50x zoom is superb. As a bridge camera, it is the ideal compromise between a compact and an DSLR. Fujifilm FinePix HS50 EXR is a combination of tilting 3.0-inch TFT color LCD monitor and electronic viewfinder with eye sensor. The electronic viewfinder also has a 920k-dot resolution and the eye-level viewing capabilities provide an additional point of contact between yourself and the camera for greater shooting stability. One of the attraction is the smart flash that only requires you to push the flash release button to open the flash on top of the camera. Then you can select one of three flash modes…! It’s been long proved to be popular with consumers. With the 42x optical zoom and adjustable LCD screen, its price tag is quite remarkable. One of the impressive elements of the HS50 EXR’s specification is the model’s AF performance and fast autofocus. THE GOOD: Its leading class zoom range. THE BAD: It’s big and quite expensive. 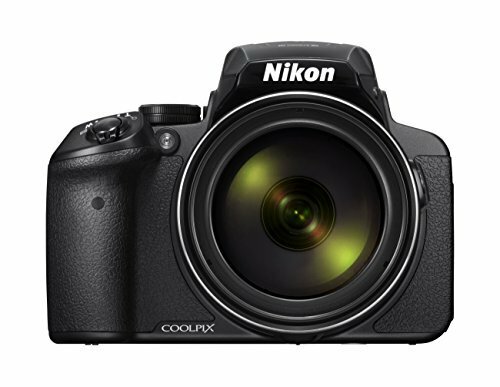 The Nikon Coolpix P900 features an unmatched 83x zoom lens allowing you to use it for just about anything from close-ups and landscapes to portraits. Its big sensor typically translates into better image quality. The images taken from the P900 are quite good, with versatile editing features gives a wide range to adjust the color and white balance. There is no DSLR on the planet that can reasonably be as versatile as the superzoom point-and-shoot camera, and the P900 has just raised that game. With its 2000mm lens, the zooming in is as easy and to take in all the details. The Inbuilt Wi-Fi and NFC allow having a better and bigger experience. This camera is quite the stuff to invest in a few dollars- because a good brand never hurts anyone. The leading zoom range is also worth mentioning, and its quite a trend for the enthusiasts. Here ends the journey of the 10 best bridge cameras in 2019. The brands lead from the expensive to cheap ones all blended up in this very review. Shuffle through it and decide it for yourself.